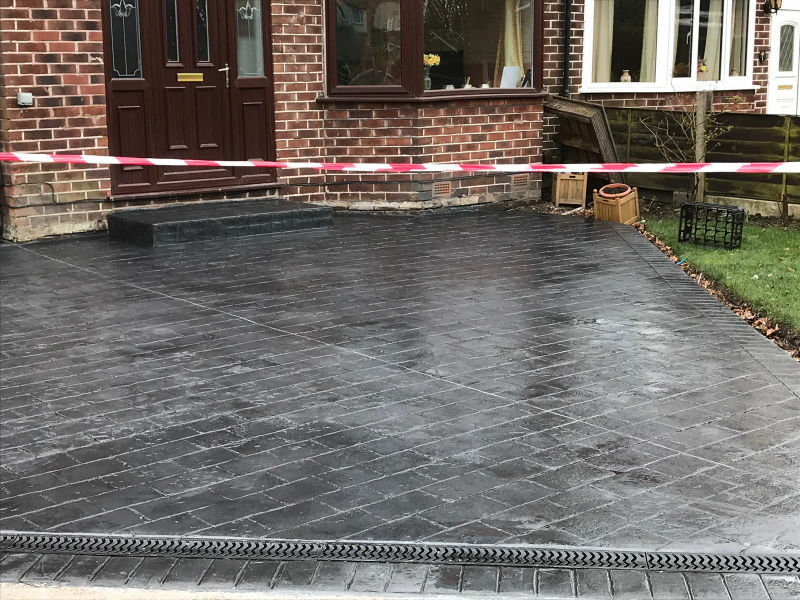 Lasting Impressions was recently asked to install a pattern imprinted concrete driveway at a house in the Urmston area of Manchester. 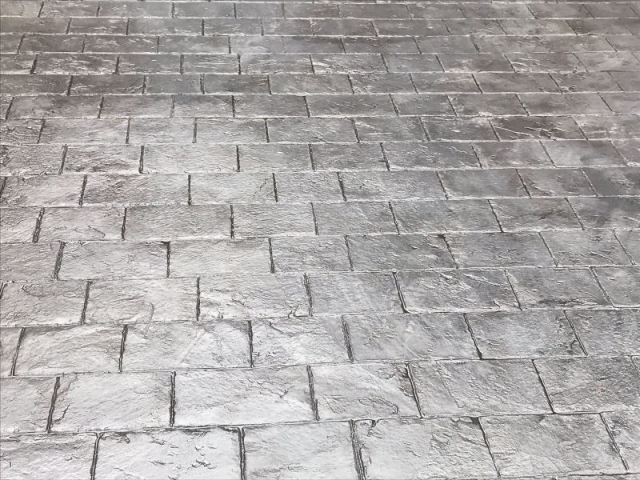 The customer opted for a classic grey colour printed in large London cobble. You can see the stunning results from the photographs included. 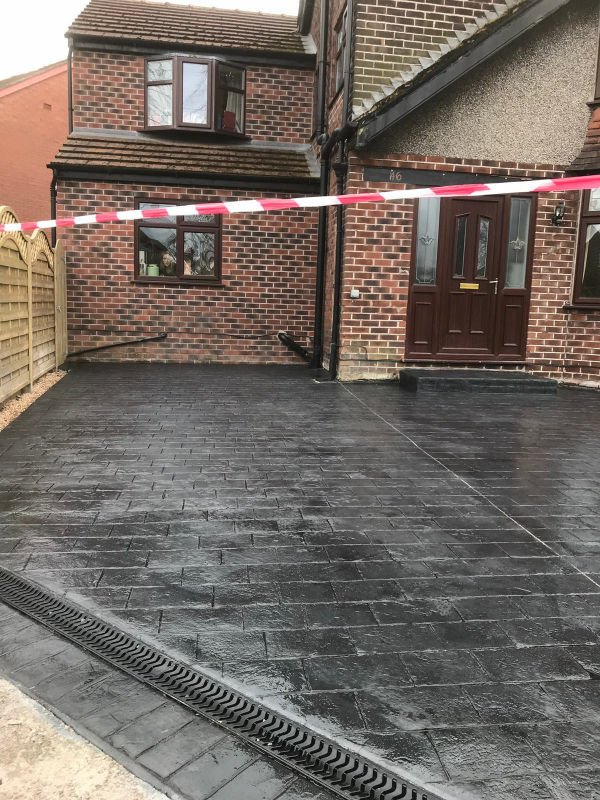 The driveway led right up to, and across the front of the house and edged the lawn, perfectly complementing the existing outside space. The customer requested a step up to the front door which matched the colour and pattern of the driveway making discreet but practical access into the home. 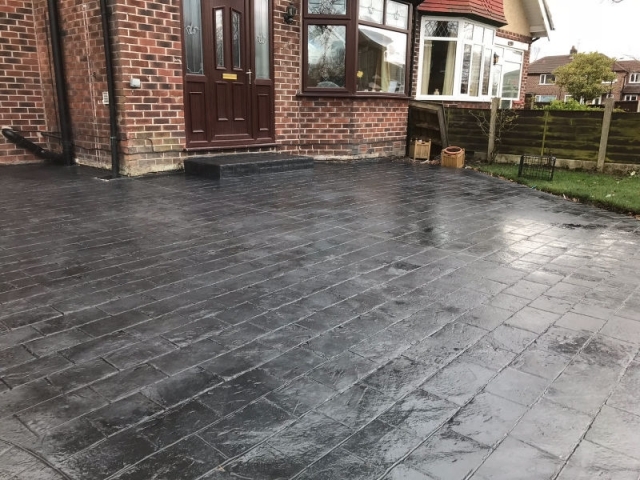 The driveway and step were all finished off with a matt seal. 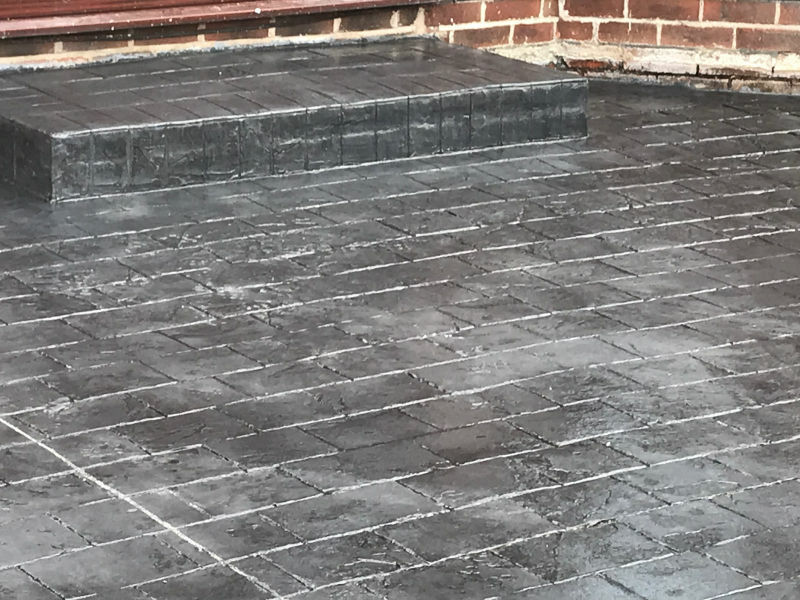 This seal has an anti-slip system which, while the surface may have a shine to it, doesn’t mean it’s slippery. Are you thinking of having a new driveway but not sure what to choose? 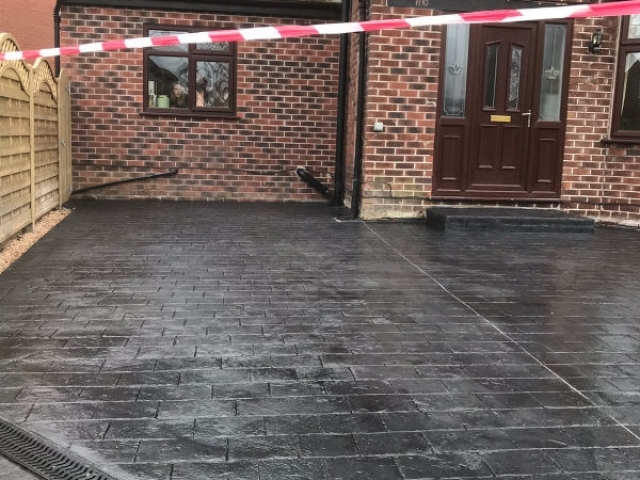 There are so many different options that you could have for your driveway including resin bound driveways, block paving, tarmac and pattern imprinted concrete driveways. With so much choice it can become difficult to know what’s the best one for you. If you want a no fuss, hassle free driveway way, there’s no doubt that the lowest maintenance and easy to look after driveway is a pattern imprinted concrete driveway. They are hard wearing and require very little maintenance. They also come in a range of colours and patterns, so you can choose a combination that is bespoke to you. They can also be incorporated with other concrete designs alongside paths and other areas that have been either paved or are resin bound. Choose your favourite from a vast range of colour and patterns. 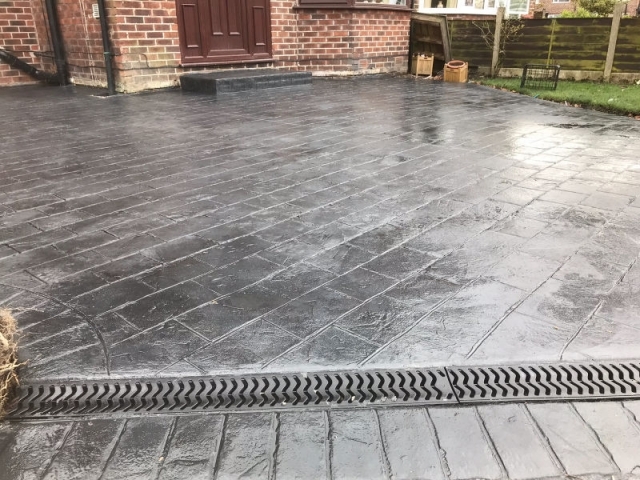 For more information about pattern imprinted concrete driveways or to book an appointment ring Lasting Impressions on 0161 980 8822.